On Tuesday, March 19th, a wildfire burned through the North Santiam State Park and surrounding areas. The park and the road leading into the park are closed and will remain closed until further notice. North Santiam State Park plays host to some of the most beautiful riverfront in the area. It is one of the finest steelhead fishing spots on the North Santiam River. 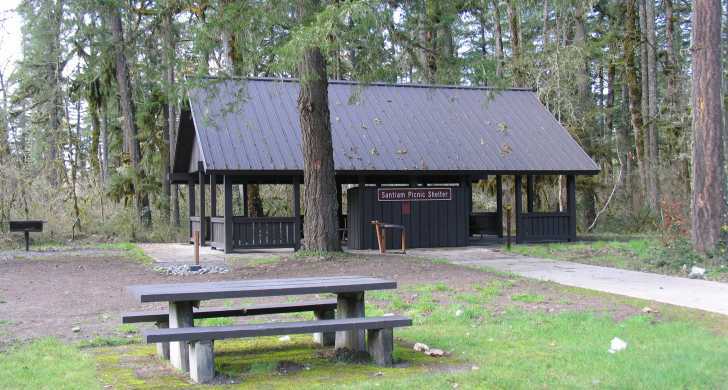 North Santiam State Park is a primitive campground and day-use area with drinking fountain and restroom facilities. Picnic tables dot the grass, making North Santiam State Park a great place to stop to stretch and eat a picnic lunch. Hiking trails show the beauty of the large old-growth trees and the river.